Another older macro shot. 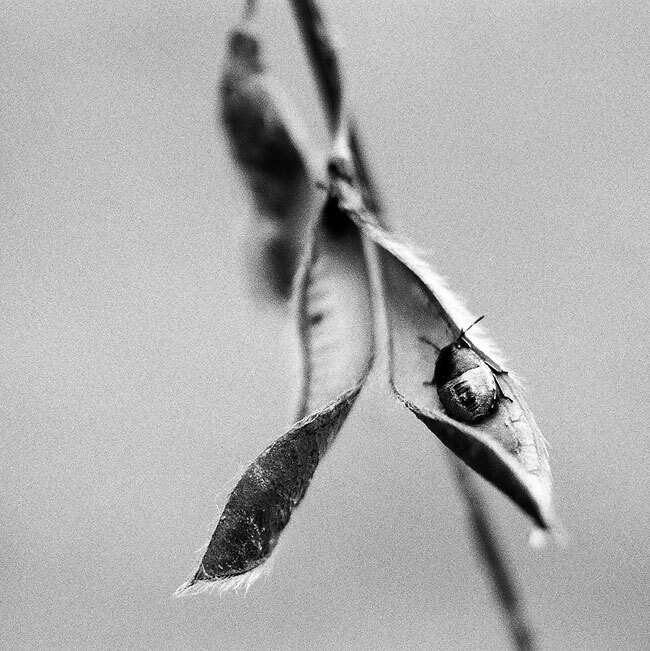 Originally shot on film, I only noticed the pattern on the bug's back after developing the photo! Good question - the shot was taken a few years ago! It was shot on an Olympus OM-1n Camera, and if I remember correctly it was Ilford HP5 400ISO True B&W Process film, known for its lovely gritty grain!